If you are a new customer, you are probably wondering how to make your first Full Channel bill payment right now. Learn what payment methods are accepted, who to contact, when you have a question and discover a few essential points about the company’s history. To make a payment online or manage your account, follow the link provided below on this page to the Full Channel login. You will also find useful “pay my bill” information such as the customer service number, payment mailing address, and billing phone number below. 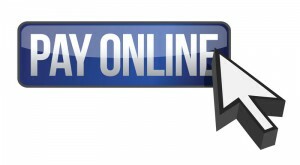 Pay Online: Before you can receive paperless billing and pay your monthly bills online, you need to register for online billing by visiting https://cableanytime.com/FullChannel/ and following the onscreen prompts. Payments can be made by credit card or from a savings or checking account. To make your Full Channel Cable bill payment online click the “Pay Online” button below to login, register, view your bill or manage your account online. It is also possible to pay by credit card by registering via https://www.prismmoney.com/pay/full-channel for an online account and downloading Prism’s mobile app. This will enable you to see your outstanding balance and pay your bills via your mobile device. Pay in Person: You can pay by cash, check, money order or credit card at the Full Channel office located at 57 Everett Street, Warren, RI 02885. Business hours are Monday, Wednesday and Friday from 8.30 am to 4.30 pm, Tuesday and Thursday from 8.30 am to 7.30 pm and on Saturdays the office is open from 10.00 am to 2.00 pm. Pay by Phone: The Full Channel bill payment phone number is 401-247-1250. Pay by Mail: The Full Channel payment mailing address is: Full Channel, 57 Everett Street, Warren, RI 02558. You can open an account or upgrade services by visiting https://www.fullchannel.com/ or by phoning the sales, service and support team on 401-247-1250, where you can speak to a Full Channel customer service representative 24 hours a day, 7 days a week. You can also speak to a representative online or visit the Everett Street office, if you have a billing inquiry or wish to return equipment because you are closing your account, when you are moving out of the service area. You can also write to the Full Channel office at 57 Everett Street, Warren, RI 02885 or contact customer services by phoning 401-247-1250. Founded in 1965 by John Donofrio, Full Channel has gone from humble beginnings to becoming a provider of cable TV and broadband services to customers in Barrington, Warren and Bristol. Full Channel is the only family-owned, independent broadband provider in Rhode Island, offering residential and business customers hundreds of channels on Full Channel Digital TV as well as high-speed Internet and digital phone services. Full Channel was the first provider of pay-per-view services and an early adopter of high-speed Internet technology on its network. The company remains committed to innovation and in 2008 began offering GreenLink in partnership with People’s Power & Light, now delivering broadband services via 100% local wind power. The following year the company’s forward thinking approach was rewarded with the 2009 Cable FAX Top Ops Community Service Award in recognition of this environmentally friendly initiative. Looking for Blue Ridge Communications bill pay info? Are you a new Blue Ridge Communications customer and about to make your first bill payment? Here you can find out what payment methods are accepted, what the company is all about and who to contact, when you have a question or problem. To make a payment online or manage your account, follow the link provided below on this page to the Blue Ridge Communications login. You will also find useful “pay my bill” information such as the customer service number, payment mailing address, and billing phone number below. Pay online: Register for an e-Bill account and make one-time payments or sign up for Easy Pay, which allows you to pay automatically via a Direct Debit from your designated savings or checking bank account or credit card every month. Go to http://www.brctv.com to sign up for online payment options. When signing up for e-Bill or Easy Pay, you will need to have your Blue Ridge customer account number to hand to register for this service. Pay by Phone: The Blue Ridge Communications billing phone number is 1-800-CABLE 77. You can use the automated phone pay system to pay your Blue Ridge Communications bill with a credit or debit card. Pay by Mail: You can send a check or money order to make your monthly payment. Write your customer account number on the back of your check or money order and mail it with your payment coupon to Blue Ridge Communications, P.O. Box 316, Palmerton, PA 180715. To ensure your payment is received on time it is recommended that you mail your payment at least 5 business days prior to the due date shown on your monthly billing statement. You can open an account at any of the Blue Ridge Communications offices or go online to their website and open an account, once you have chosen the bundle or package of services you’d like. If you are about to move home within a 911 service address change area, you can fill out an online service address change form and email it back to the company. If you are moving to an area that is not covered by Blue Ridge and you need to close your account, call customer services or chat online to an adviser. Call 1-800-CABLE 77 to make inquiries or report problems. You can also chat live online or email the customer services team via http://www.brctv.com/support. Simply click on the relevant link on this page. Pencor Services Inc., the company responsible for Blue Mountains of Palmerton services in Pennsylvania, is located in locally and started out as a one man and a plan type company, the brain-child of engineer Claude E. Reinhard, who worked for the New Jersey Zinc Company. He founded the Palmerton TV Signal Corporation in 1950, after having secured some investment. Eventually, after rapid expansion, the company adopted the present name, Pencor Services, Inc. in 1965, changing the name for its cable TV division to Blue Ridge Cable Television in 1971 to reflect the ever-growing areas it served, including the Panther Valley and Poconos areas. Today the company serves more than 170,000 households.